Apple Readying New FaceTime Equipped iPads? Appleinsider claims that Apple may already be in "advanced testing stages" of a new FaceTime capable iPads. The followup iPad is said to be due no later than 1st quarter of next year with some suggestion we could see them sooner. The report corresponds to recent claims that the iPad's next-gen firmware contains FaceTime debugging software, similar to that which was leaked prior to the iPhone 4 launch. 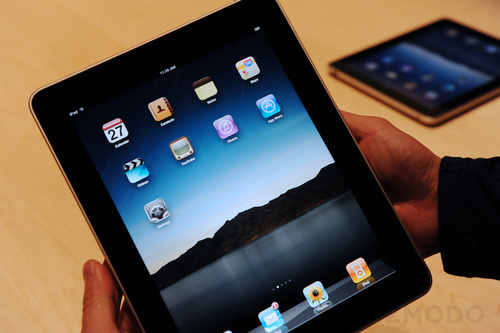 Apple released the first (and also current) iPad in April 2010.